Exceptions in nondigital games occur when a game functions on a set of base rules, but some of the components change those rules when played. 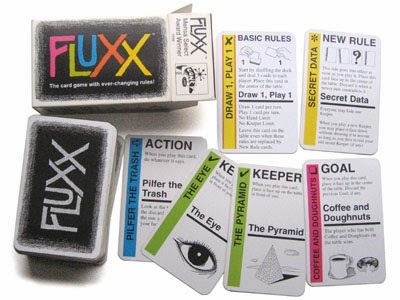 The simplest example is perhaps the game Fluxx. 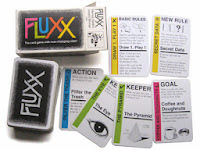 In Fluxx, the only base rules are that everyone starts with a number of cards in their hand, and draws one new card from the deck every turn, and also plays one from their hand every turn. Want to win? There are cards that allow you to win. Want to keep your opponents from winning? There are cards that can do that. Want to draw more cards? Guess what - there's a card for that too! Each card functions differently, and has its function printed on it. Exceptions in games are easy to identify. If, when explaining the rules, you have to say "Here's how the game works, at its core. Oh, except this component, and this one..." then those are the exceptions. Nearly every game has some exceptions, although some have very few. I've written about how exception-based games are hard for non-gamers to pick up - but where do we draw the line between "having exceptions" and "exception-based?" First I'll list a few games along the spectrum of exceptions, and then I'll go into more depth about what qualifies a game as family friendly with exceptions versus what makes a game exception-based. Very infrequently games have absolutely no exceptions. In these games components or cards differ from one another only in numerical values. Poker (and many traditional playing card games) fit this model. The cards themselves don't do anything special; they are all treated the same. Some values are of course more desirable, but none of them work any differently than the others. Many games are designed with few exceptions, and almost all classic games fall into this category. These games tend to be easier to learn for casual gamers, as 3 or 4 exceptions in a game don't make the game exception-based. If you're playing poker with wilds, then the wilds are exceptions. One would teach the rules: "We are playing poker, except 2s can stand in for any card and you get to declare them at the end." Games with few exceptions tend to have the exceptions explained in the rules, but there are few enough of them that they needn't be explained on the components. 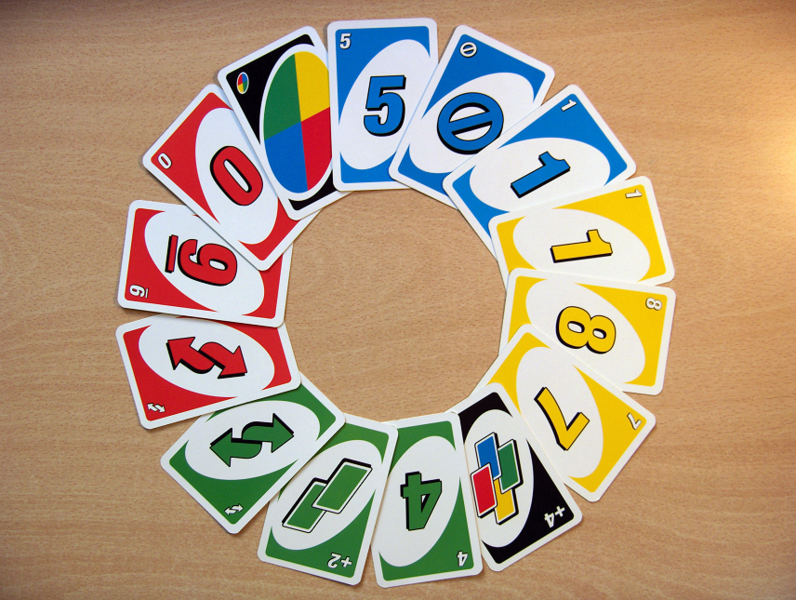 For example, Skips, Reverses, and Wilds in Uno simply say their names on the cards. Similarly, Bohnanza's Third Field card is the only card that works differently than the others, so it doesn't need a full description on the card. Same with Lost Cities - the only exception is the Funding card, and all it needs to set it apart from the others is a symbol instead of a number. You know your exceptions are simple when they can be explained in one word! The primary thing these games have in common are that over 90% of the cards have only numerical or suit differences, with only a few different cards. Of course, this isn't the only model for a few-exception games - games like Chess are another model, where the game is comprised of 6 different exception pieces, as well as several exception moves (castling, and en passant). 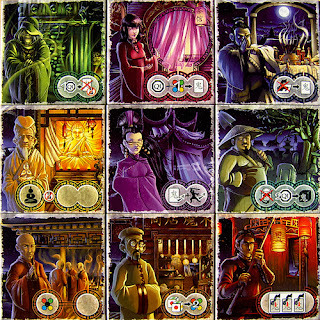 Ghost Stories and In The Year of the Dragon are two games that bill themselves as non exception-based games, but include significant exception-based content. In order to keep up their appearances as not exception-based, neither resorts to writing text on the components explaining their functions. 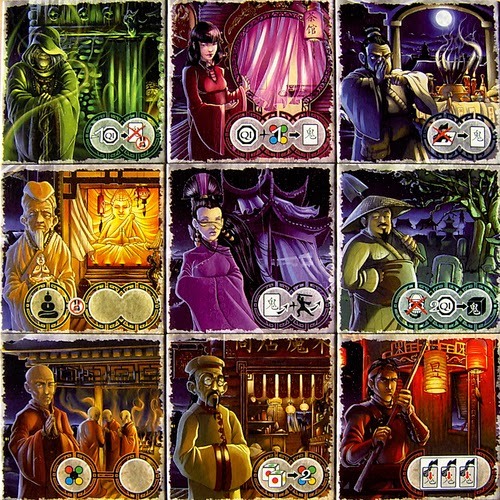 In The Year of the Dragon is a fairly abstract euro game which contains 6 exception-based events, and 9 people with special abilities. The tiles themselves (below) show no text; players are expected to remember the abilities, and they are provided a reminder card to help. A good rule of thumb: if you need a reminder card to spell out special abilities of components, you probably should print the abilities on the components themselves. In the Festival event (bottom right), for example, the player with the most fireworks resources gains 6 victory points, and the player with the second most gains 3 victory points. Ghost Stories has a similar M.O. : the game contains a deck of Ghost Cards, and 9 Village Tiles that are arranged to form at 3 by 3 board. The Ghost Cards are borderline exception-based: they contain a small number of different abilities, mixed and matched on different ghosts. The Village Tiles themselves are pure exceptions; each one is unique and functions differently from the rest. As with most games that have a significant number of exceptions, but are unwilling to seem exception-based, Ghost Stories conveys all of these abilities using symbols (which has the added benefit of not needing to be translated on the components). Of course, as with most games that try this symbolic tact, I find the symbols in Ghost Stories inscrutable, and I never would have been able to understand the abilities had I not been playing with experienced players. Do you know what the icons mean? I sure don't. 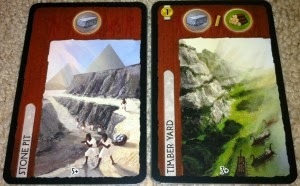 Cleverly, 7 Wonders takes the opposite strategy of these two games. 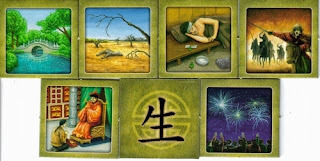 Instead of branding itself as a low-exception game and disguising its exceptions, 7 Wonders appears exception-based at first glance, but really only houses very simple exceptions. While the game has 3 full decks of cards, each with its own exceptions, the exceptions are not particularly complex or varied. Most of them simply give the players resources, as denoted by an icon of the resource they provide on the card. Some give victory points, others provide military, and others yield scientific progress, but all in the form of a single icon prominently displayed on the card. These abilities are rarely even ever mixed and matched; they simply change in magnitude. Of course, there are a few more complicated ones, too. As a result, 7 Wonders feels delightfully light to gamers because it presents itself as a simple exception-based game, whereas Ghost Stories and In The Year of the Dragon feel heavier than they should because they aren't willing to clearly print the rules of their exceptions. In contrast to Ghost Stories, these cards are straightforward. The left one gives you one stone per turn, and the right one gives you one stone or wood per turn (and costs 1 gold). These games are the heavier, exception reliant games. They usually have their exceptions printed on cards, they have many different types of resources that their exceptions manipulate, and the many different components mix and match different types of exception. In Dominion, for example, cards give players more cards in their hands, allow them to play more cards, give them more currency, and many cards mix and match these various abilities. Exception-based games tend to have nearly every component present exceptions to the base rules (so lots of exceptions). These games often have some very complicated cards that manipulate the base rules significantly. These qualities make them hard to learn for non-gaming audiences. Magic players call these cards "Wall of Text"
As you can see with the breakdown of these various levels of exceptions in games, 2 main categories affect their accessibility: number of (different types of) exceptions, and complexity of exceptions. Easily accessible games (like Uno) rate low on both of these scales. 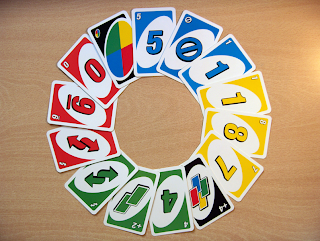 As I mentioned, Uno has 4 exceptions (Reverse, Wild, Draw X and Skip), and they are all simple, since they can each be explained in a single word. On the far end of the scale are games like Magic, where there are literally thousands of exceptions in the game, and many of them are "wall of text" cards that require extreme understandings of the rules to play with - obviously these things make the game rather inaccessible. One final note: mixing and matching a small number of simple exceptions can be just as bad as having many different exceptions for making your game playable by casual audiences. Bang! 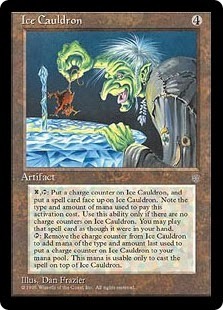 exemplifies this with only a small number of different symbols in the game (things like Shoot, Miss, Range, Draw a Card, Discard a Card), but the game is still not super easy for nongamers to pick up because it mixes and matches the symbols in many different ways (and not always intuitive ways either). When planning a game, I always try to think about what level of exceptions are appropriate for the audience. If I'm making a game for my family, it better fall into the first two categories. If I'm making a game for TCG players, then anything goes! Poker totally has exceptions: Ace high. You can discard up to three cards, or four if you have an Ace. Full House is a thing. I was thinking about Hold 'Em, but if we're not talking Hold 'Em " You can discard up to three cards, or four if you have an Ace. " is indeed an exception. As with most borderline exceptions in games in the end they're in the eye of the beholder. That said I disagree with you about Ace High and Full House; I wouldn't classify Ace High an exception (it's just a numbering scheme... there's no reason Jack should be higher than ten but it is part of the base rules), and full house makes no less sense than any of the other hands, and I would also call the hand ranking system part of the base rules.